We trust that you will find this site useful,whether you are looking for information about feng shui and/or interior design or for information on the services and help we can offer. There are also articles about us from various national newspapers and specialist magazines. Is your home working for you? Learn how to connect heart and home. A feng shui consultation involves looking at every aspect or your life – what is working, what is not working, what needs a boost etc. For this reason we take many things into account, the persons astrology -heavens energy, the physical environment – mans energy, and the energy of the environment which the client occupies – earth’s energy. The consultation itself takes between 2 – 3 hours and involves an explanation of the clients feng shui astrology and discussion with the client about what they wish to derive from the consultation. Prior to the consultation itself we ask the Client to draw out a floor plan of the space involved – this does not need to be too detailed once it is proportionate, this is usually sufficient. This plan is sent to us prior to the consultation date so that initial observations may be noted at this stage. 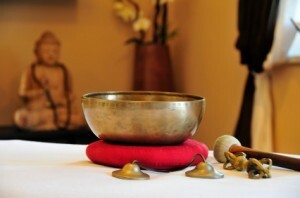 Whats involved in having a feng shui consultation? During the consultation we will explain how the bagua & feng shui principles may be applied to the space in a practical and aesthetically pleasing way to conform to the clients individual lifestyle. This involves looking at furniture layout, colour, ornamentation etc. Then we walk through the space and make initial observations and recommendations on the walk through. Following this, we may need to walk through the space a second time making notes and observations and dowsing for geopathic stress etc. In some cases where geopathic stress is a problem, some earth acupuncture may be carried out. This is simply a way of harmonizing earth’s energy beneath the built environment. Dissonant energy can have a detrimental effect on health and well being and if the client has been having problems with sleep or has been feeling debilitated since occupying this space then some earth work may be indicated. In other cases it may be necessary to do some Space Clearing work. Space Clearing is involved with cleansing the “atmosphere” within a space. It is understood that each space resonates with the energy of the people that have occupied it previously. It can be likened the way in which an argument can seem to “hang in the air” for some time afterward, well, over time every experience that occurs within the space builds up like so many “psychic cobwebs” within the space and can make it feel dull and heavy and lifeless. Space Clearing cleanses this energy introduces positive intention into a building, lifting the atmosphere in the same way that spring-cleaning does on a physical level. It is important to do this when we move into a new home or workplace and also to “clear the air” every now and then and refresh the energy within a space so that it supports the energy of the occupants rather than keeping them stuck in the past. 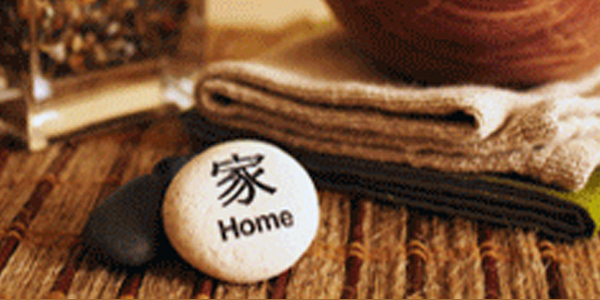 Most feng shui Consultations involve having some Feng Shui Astrology done. This simply provides extra information about the individual to figure out what their energy is and how it may best be supported. This can be the Japanese version – 9 star Ki, or the Chinese Version – Ming Kua and Four pillars Astrology. In 9 Star Ki for instance we look at how a persons energy changes each year over a cycle of 9 years and this can give us an insight into how our energy is in any given year or month of that year – it can seem bright and full of life at some times and at others we can feel much more introverted and withdrawn, finding it hard to get motivated. The Ming Kua will give us information about our personal auspicious and inauspicious directions which can enable us to tap into our best direction energetically in the places where we spend long periods of time i.e. where we sleep or work. The Four Pillars information allows us to look at the five elements of Water, Wood, Fire, earth and Metal and how we can use these in interior design and what we wear etc. to support our energy best. Clutter Clearing is very important not only in terms of interior design but more importantly feng shui. Clutter creates stuck energy and therefore impedes the flow of energy in your home and consequently your life. It literally keeps you stuck in the past. When you are surrounded by clutter it actually saps your energy making it ever more difficult to keep upbeat and creating a dull droning resonance of “heaviness” in your space. We recognise that sometimes it is difficult to know where to start, so having an objective eye and a pair of helping hands can be a godsend. We offer a clutter clearing service where we come in and help you in the process of clearing out and reorganising your space to enable you to get your life moving forward again. Manyof our clients reported huge changes in their lives purely as a result of clearing clutter and literally getting out of their own way. One client reported a radical change in every area of her life including a dramatic and welcome weight loss, directly as a result of the clarity and energy she derived from living in an uncluttered home. Where previously she could not bear to spend any time at home, now she loves to be in her beautifully organised space. She now regularly entertains – she was previously embarassed to have guests in to her cluttered space. In these difficult times it is even more important to have professional help in presenting your property for sale or letting. We offer a complete professional service in advising how to have your property looking its best to attract buyers and tenants and achieve the best possible price when selling and letting. Very often the subtle changes have the most radical effect. Whether you wish to do the work yourself, or have us organise everything for you, allow us to cast an experienced eye over your property and give you a room by room breakdown on how best to maximise the potential of your property.